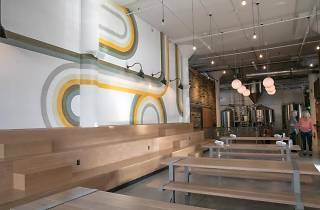 The new Magnolia Dogpatch has been transformed from its Smokestack barbecue days and reopened as a lighter dining room decked out in grey booths, floral wallpaper and 1960s-1970s photos of San Francisco. In the brewery space, picnic tables and TVs showing the Giants and the Niners form an indoor beer garden. 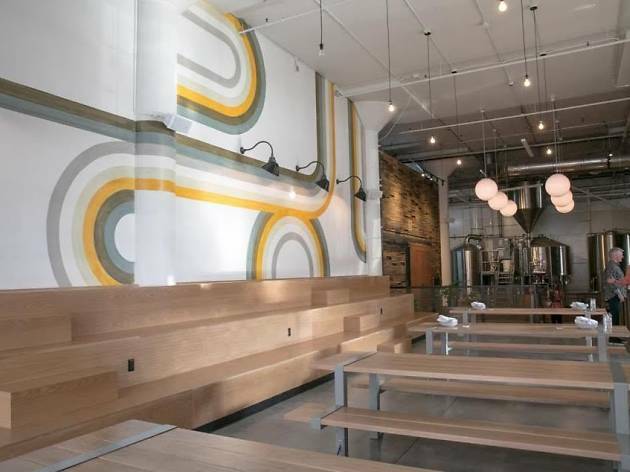 Next year, there are plans to open up a 6500-foot event space next door that will also house a koelschip (or coolship), an open fermenter for sour beer production. Magnolia in its previous incarnation as a smokehouse offered astoundingly flavorful and tender barbecued meats by the pound. It was unique. The current menu, while diversified, does not differentiate itself from almost every other San Francisco restaurant, and includes the elevated prices. Come for the beers? This place is the best. I love being here.